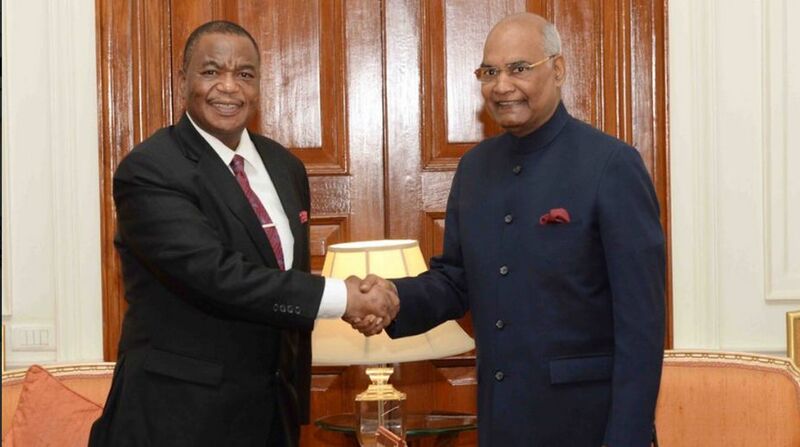 Shortly after meeting Zimbabwean Vice President Constantino Chiwenga, President Ram Nath Kovind on Friday said India will further intensify its engagement at all fronts with the African nation. “India and Zimbabwe enjoy warm and special ties. With the change in the regime of Zimbabwe, India desires to continue the friendly relations and further intensify its engagement at all fronts,” Kovind said after the meeting at Rashtrapati Bhavan. Former Zimbabwean Army commander, Chiwenga who led a military takeover that saw former President Robert Mugabe ousted, took oath in December 2017 as one of the southern African country’s Vice Presidents. Kovind said India’s approach of partnership with Africa is consultative and participatory. “It is driven by the aim of empowerment, capacity building, human resource development, access to Indian market and support for Indian investments in Africa,” he said. Earlier in the day, Kovind said that he was happy to receive Chiwenga as a special envoy of the President of Zimbabwe. Kovind stressed that India-Zimbabwe bilateral trade of US $170 million was way below potential and both the countries need to work together to strengthen trade and economic relations. Kovind was also happy to note Zimbabwe’s policy to make its economy investor-friendly. “India is appreciative of Zimbabwe’s recent endeavours. It will be happy to be part of Zimbabwe’s effort to reengage with the international community,” he said.